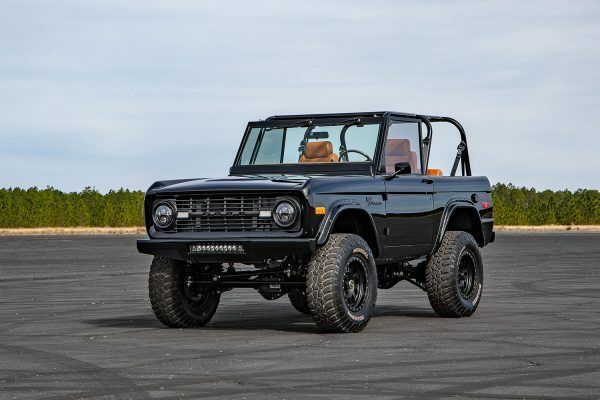 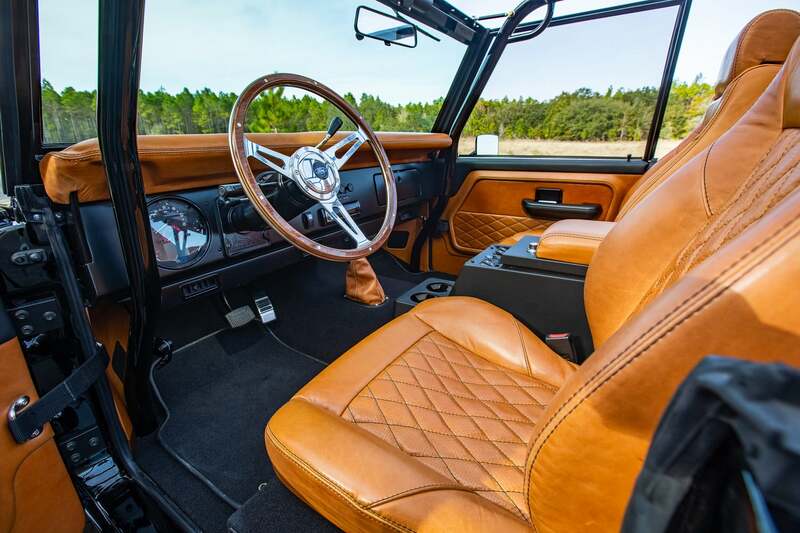 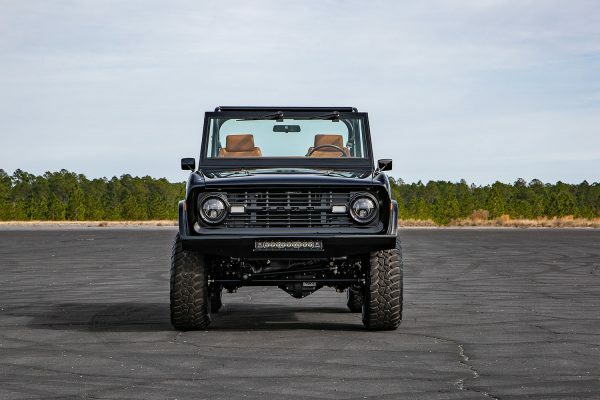 This 1969 Ford Bronco was built by Velocity Restorations in Pensacola, Florida. 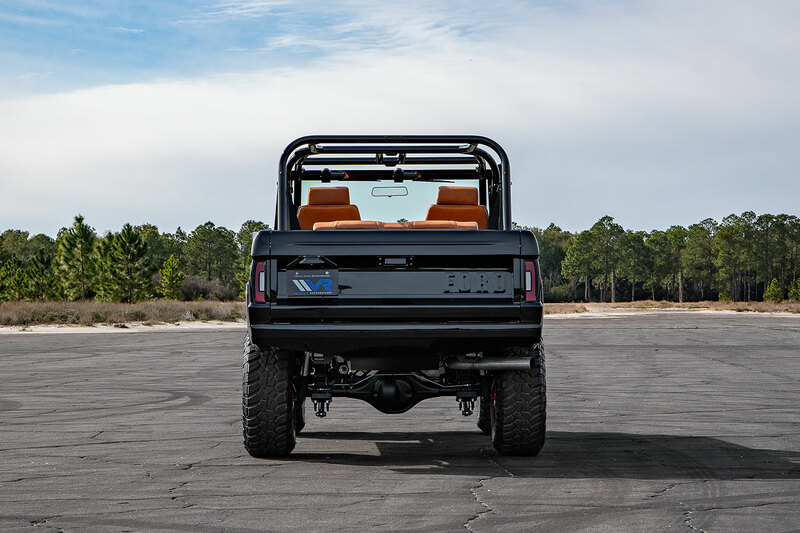 Under the hood sits a 5.0 L Coyote V8 with a Whipple 2.9 L supercharger on top. 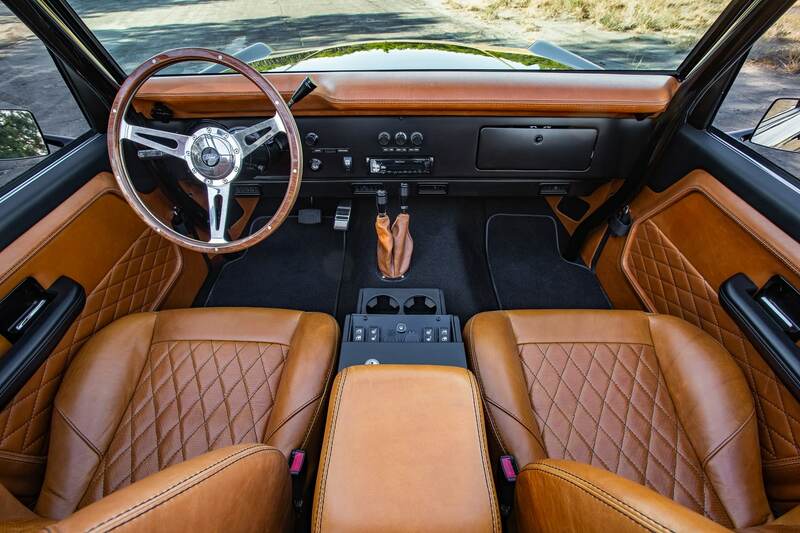 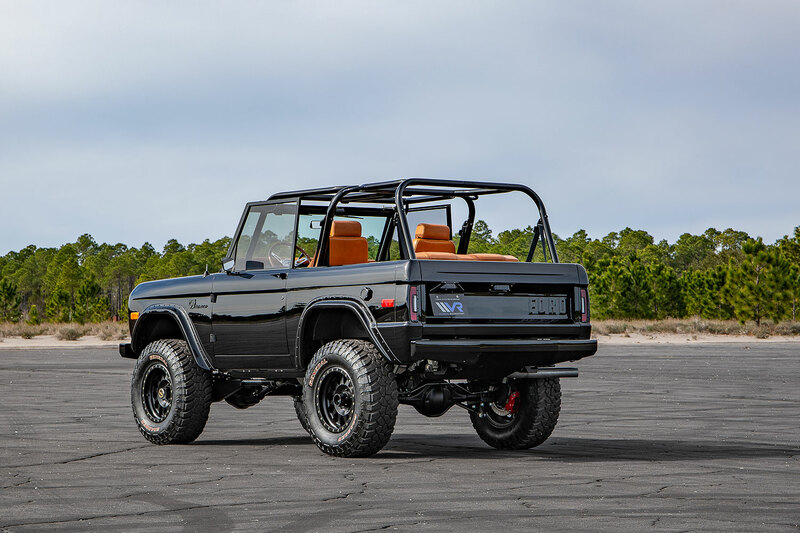 Torque is sent to all four wheels through a 6R80 six-speed automatic transmission, Atlas transfer case, Dana 44 front axle, and Ford 9-inch rear axle. 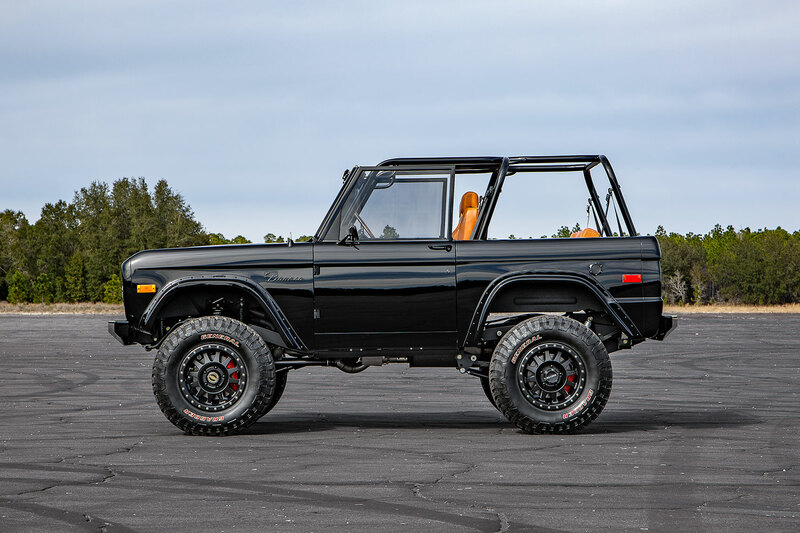 The Bronco rides on a 2.5-inch suspension lift with T-Rex radius arms, front/rear sway bars, and Wilwood disc brakes.